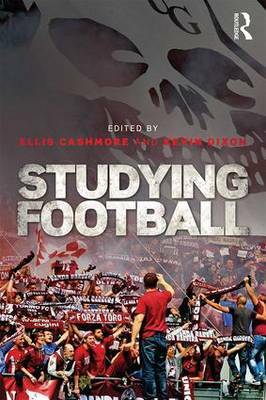 “Studying Football” is something of a misnomer, because the sport itself has very little to do with the book. Having a flick through the index, it’s surprising quite how few footballers are listed and very few of them are in there for anything they do out on the turf. The book instead focuses on the culture surrounding football, or more specifically it focuses on the work of academics on the culture surrounding football. Split into twelve sections – an introduction, violence, globalisation, fandom, racism, gender, identity, media, celebrity, consumption, transgression and corruption – the book looks to give a rundown on the academic thought in each topic. The majority of the chapters essentially give a synopsis of whatever theories have been put forward on the subject, giving enough detail to inform but never going far enough down the rabbit hole to lose sight of the overall points. It seems the intention for the book was to be an overview on the few decades since football has been deemed worthy a subject of academic thought rather than a book that has its own theories that it wants to prove. Appropriately, the language of the book never feels inaccessible. Jargon is kept to a minimum and when it is introduced terms are explained to avoid confusion. Each chapter is bookended with a slightly deeper look at a few specific papers, with their strengths and weaknesses and methodologies looked at, giving a bit of a look at the academic process itself alongside the findings that make up most of the book. The general tone won’t be new to anyone who’s had to read an academic paper before but the greater accessibility makes it feel closer to a history book. It’s a real strength as these topics are generally only ever brought up by journalists making little attempt to hide their disdain for working class people, whereas here they are discussed maturely with a focus on the how and why rather than simple moralising. However, the book does tail off significantly towards the end. Richard Haynes’ chapter on the media shifts the tone away from the history book style of earlier chapters to something that largely resembles an opinion piece, focussing more on his own thoughts than giving an overview of existing academia and churning evidence out in a way that makes it far less engaging to read. Ellis Cashmore’s following chapter on celebrity reels the tone back in but there simply doesn’t seem to be enough research compared to the other topics – there’s plenty of crossover between chapters throughout the book, with sentences frequently telling you to head to chapter X for greater detail, so it might have been a better idea to move some of the celebrity chapter into others rather than stretching it out into its own. Cashmore and Kevin Dixon’s final chapter on corruption also seems to go a bit too far with the history book tone, losing sight of the academic theory to just give a review of the corruption that’s plagued football since its inception. While there’s little in here that will be ground-breaking for football fans, it’s delivered far more intelligently than the subjects would be elsewhere. One of the book’s greatest strengths is that it nearly always seems to feel balanced – perhaps due to the fact they are generally presenting others’ research and so don’t feel the need to fight the corner and prove the theories are correct, allowing them to stand on their own.